Promote an outstanding guest blog post on a relevant site with a high audience. There are several news and information sites that are eager to have content that will add value to their site. There are several high authority sites like Entrepreneur and Forbes who accept guest contributions, however it is better to post on authority sites in your niche. For example, if you are a hair salon in the United Kingdom, getting a guest post on The Hairdressing Journal (http://www.hji.co.uk) would be more relevant and improve the site’s chances of ranking for more hairdressing related keywords. Promote to relevant communities on social media. Sharing your link with relevant Facebook fan pages. Twitter streams by using relevant keyword hashtags. Outreach to influencers in your niche. Engaging with them on their social media accounts, such as Facebook, Twitter, Instagram or Google Plus. Meeting them in person at a networking event. Sending them a letter or a post card. You can get links from authoritative supplier websites by providing them with testimonials. Simply provide a positive review about their service and see if they would be happy to publish your testimonial on their website, which would include a link back to your site. Reach out to websites that have linked to similar content. One of the easiest ways to acquire relevant links is to find content that is similar to what is being published on your website and collecting a list of the sites that are linking to the content. You can use tools like BuzzSumo or Ahrefs to find sites that are actually linking to the content and send them an email with a link to your website’s content. Contact relevant media in your industry. Your industry will have magazines, newsletters, radio shows, television shows, podcasts or other types of media. Journalists from these media outlets are always on the lookout for content that they can promote with their story. Reach out to these media outlets, journalists and editors by submitting story tips, ideas and contributions. Publish links on relevant directories. There are several online directories on the web that you could submit your website to, however acquiring links from the most relevant directories will do more for amplifying your site’s organic search performance. Look for any directories in any trade journals or magazines that you can submit your website to. Alternatively, conduct a keyword search on Google such as “your keyword + directory” to find relevant directories that you can submit your website to. Look for discussion forums that cover topics in your industry. You can use forum search engines like Board Reader to find discussion threads that cover topics in your industry. You can add value to the discussion by adding expert commentary to the thread and using links as information resources. 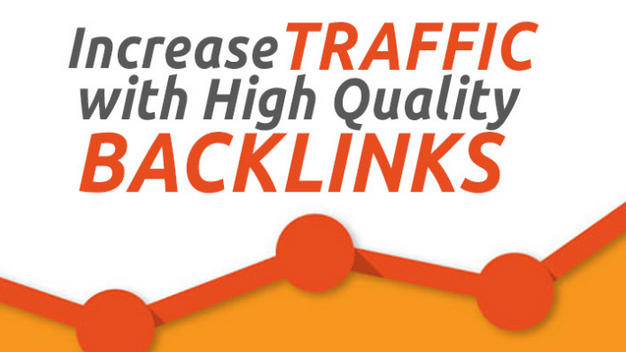 You may be able to acquire the same links as competitors in your industry by getting their backlink profile. You can use tools like Open Site Explorer, Majestic and Ahrefs to pull data on the sites that link to your competitors. You can then export the data into a link prospecting tool like Buzzstream and outreach to those websites. Because your website has similar content, you should have a strong chance of acquiring links from those websites. Search for links to outdated content. You can use tools like BuzzSumo to find popular content that needs to be refreshed. You can use BuzzSumo to download information about the linking sites. Once the content is revamped and published, share the content with webmasters and ask them if they would like to link to the updated content. There are several link acquisition methods that can be used, however the most important thing is to acquire links that build a relevant, authoritative portfolio so your website will rank on the first page of Google for your desired keywords.